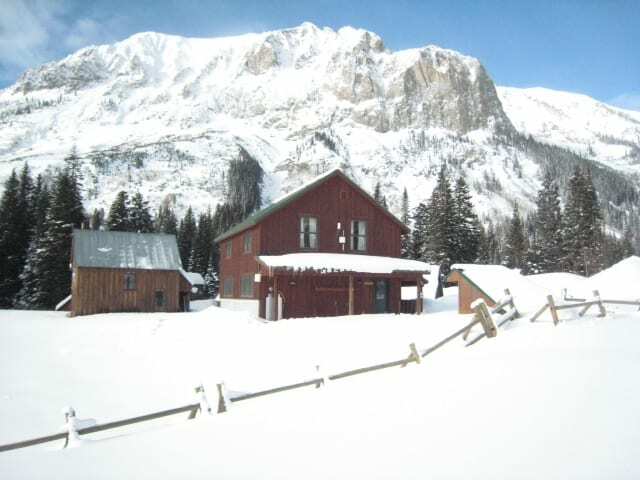 The Maroon Hut in Gothic, Colorado is available for winter use between November 21, 2018 and April 7, 2019. We will start taking reservations November 1, 2018. The Maroon Hut sleeps up to 12 people, the cost is $265 per night plus 8.9% tax. The Maroon Hut has raised the bar for backcountry living with a ground source heat pump for heating and hot water, electricity, a full blown kitchen with running water, four bedrooms, and an outhouse. The Maroon hut sleeps 8 people on 6 twin beds and 1 double bed in the upstairs living area. It can sleep up to 12 people with 2 additional people sleeping on a couch bed in the living area downstairs, and 2 on cots. The cost is $260 per night (plus 8.9% tax). The hut can only be rented by one party reserving the entire hut. We will not book other people in the hut the same night. Users of the Gothic Huts shall NOT ski into or out of Gothic during HIGH or EXTREME avalanche conditions, as we do not allow travel in and out of Gothic during these conditions. This is a condition of using the winter hut. Check in time is 2 p.m. Check out time is 11 a.m. The hut has infloor heat (which comes from a ground source heat pump), electricity and running water, though no indoor toilet. A new forest service style outhouse can be reached by walking along a snow path behind the cabin. 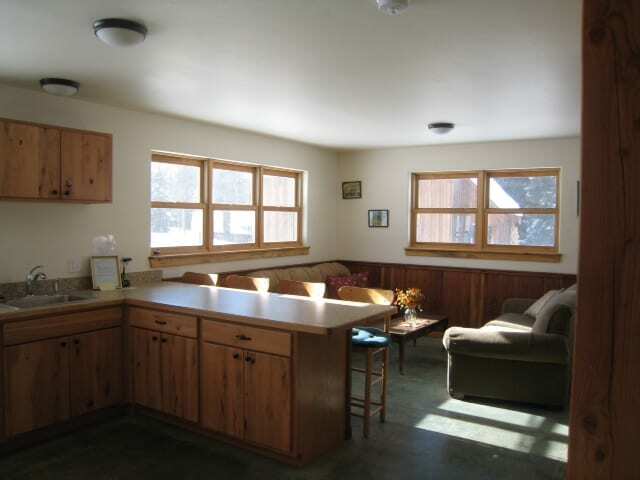 There is a full supply of cookware: full sized oven, microwave, stovetop burners, etc. It also has plates, pots & pans, a coffeemaker, and silverware to take care of 99% of your cooking needs. Things like a crock-pot or a pastry cutter do not exist out there. Make sure to bring: lighter, food (including coffee and filters), sleeping bag, pillow, a hand towel, paper towels, and body soap. Take all of your trash home with you, including all food. There are absolutely NO DOGS, no Snowmobiles, and no hunting in Gothic. It takes 1 to 2 hours to skin out to the Hut (mostly downhill). Since the hut is located at RMBL where numerous research projects lie beneath the snow around the cabins please do not ski anywhere in the Gothic townsite except to and from your cabin, and do not build snowpits or snowcaves. Hut renters are required to clean the hut before they checkout. This includes sweeping, mopping, cleaning the bathroom, kitchen, living and sleeping areas. All dishes need to be washed and put away. Please leave the cabin in a condition that is equal or better than you found it and in a way you’d want to find the hut in. Thank you for doing your part. 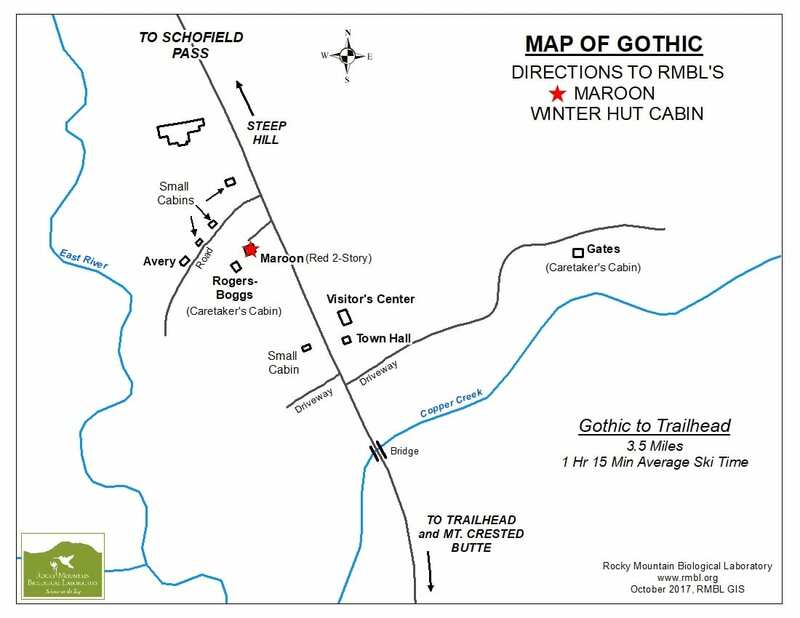 If you have questions or need assistance, RMBL caretakers live at the Rogers-Boggs (adjacent to the hut) and Gates cabin (East side of Gothic up the hill) – see map of Gothic for details. Feel free to stop in to ask about local skiing conditions. Directions: HWY 135 to Mt CB. Continue on this road (Gothic Rd) until its end, parking is on the left. This is the winter trail-head for Snodgrass and Gothic. You can take the bus right to the Gothic Trailhead. Check out the routes and schedules from Mountain Express! The hut is a 4-mile, one-way ski on moderate terrain. 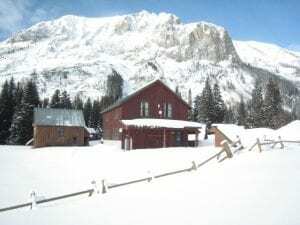 Depending on snow conditions, avalanche hazards DO exist so you MUST check the avalanche conditions with the Crested Butte Avalanche Center before departing. Users of the Gothic Huts shall NOT ski into or out of Gothic during HIGH or EXTREME avalanche conditions, as we do not allow travel in and out of Gothic during these conditions. This is a condition of using the winter hut. 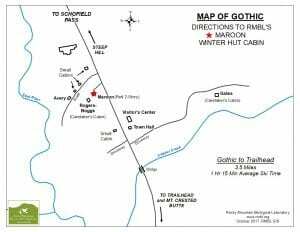 Be sure you know the exact location of the hut – here you can download a map of Gothic, where Maroon Hut is located. Be prepared for a variety of winter weather conditions. Bring along adequate equipment and food for your stay. Be prepared to “rough it” in case of emergency. We recommend bringing and knowing how to use avalanche beacons as the route passes several potential avalanche areas. Any changes or cancellations require a 30 day advance notice for an 90% refund of total trip booked. Cancellations made less than 30 days prior to your trip start date will result in forfeiture of your payment. The one exception to this policy is in the event of avalanche danger rated high or extreme by the Crested Butte Avalanche Center. In that case you can get a full refund of your fees or re-book the hut at no extra cost. Please email winterhut@rmbl.org to make arrangements. If you are unable to arrive at your booked dates, please inform the caretakers at winterhut@rmbl.org. If you see an X on the calendar, the cabin has been rented on that date. This is the date of the arrival. Each hut trip participant will need to fill out an RMBL Liability Waiver. You can download it here and bring it with you to the hut, or you can sign a waiver when arriving at the hut. Please give the signed waivers to the winter caretakers at the hut. Group organizers will sign an online waiver with the reservation. Once you have decided that you would like to make a Maroon Hut winter reservation, please view the reservation calendar for availability, then register (starting November 1st). If the purpose of your trip is education or research related, contact the Facilities Director at plant@rmbl.org. You will be prompted to pay online for your booked nights, and sign an waiver. Full payment by E-Check, Visa or MasterCard is due at the time of reservation. The Reservation Calendar will be updated as quickly as possible with new reservations, however, if there are date conflicts a RMBL staff member will reach out to you. If you have any questions please email RMBL winter caretakers Kristi Haner or Alex Tiberio at winterhut@rmbl.org (preferred) or call them at 970-349-7156.